The black liquid soap is the first thing you notice about Washing! 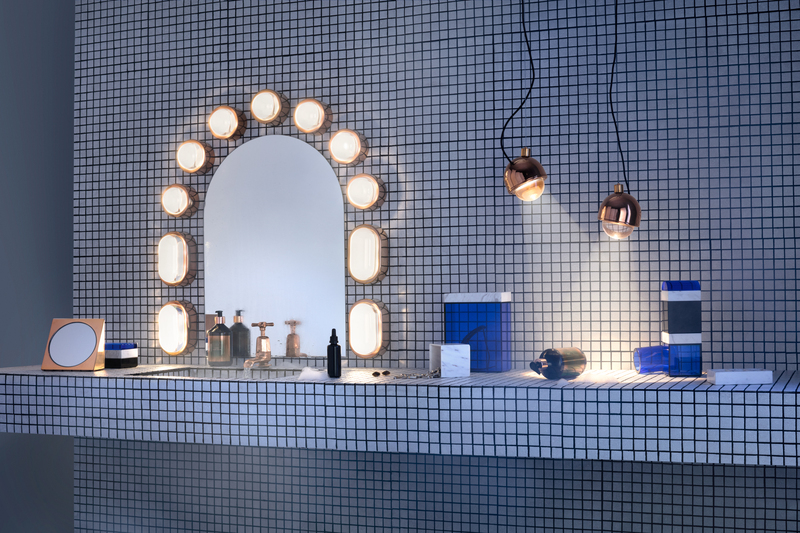 the new Tom Dixon collection to be launched at Paris event Maison&Objet. You immediately feel the urgence to try such a contemporary product, experience what happens to your skin after it. 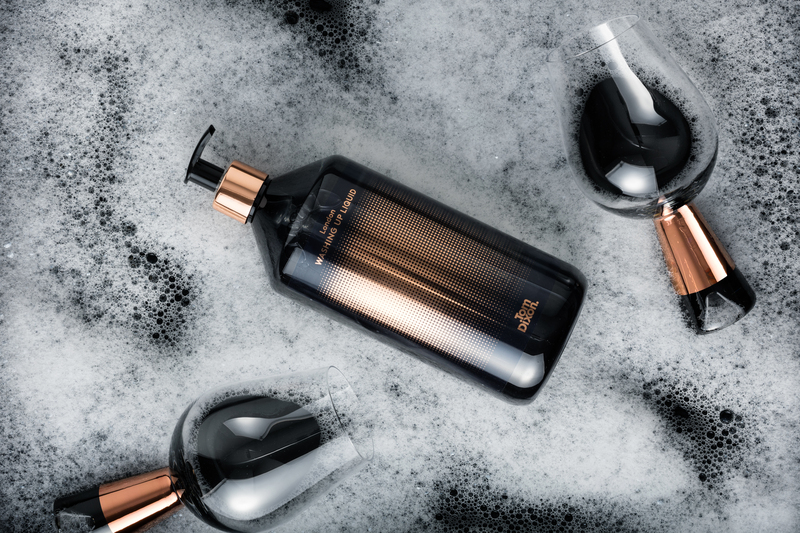 A black soap is something new and unexpected, an idea that has to be “handled with care” and Tom Dixon knows how to do it. And guess what? The collection includes also a very glamorous washing up liquid (yeeeesss!!! 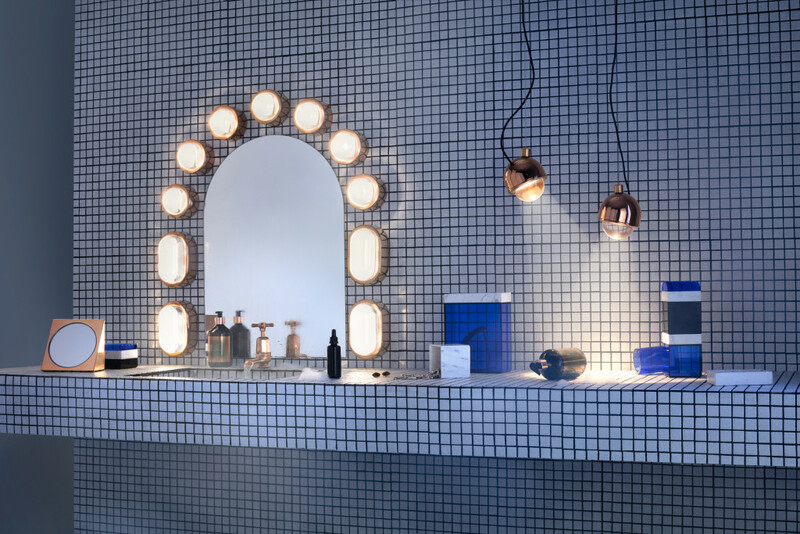 ), together with hand washes, hand balms and hand gift sets, inspired by the brands signature scents: London, Royalty and Orientalist as well as multifunctional marble storage for the bathroom or the kitchen counter and copper-plated lights, all designed for wet environments. We have been working on a multitude of hotel bathrooms, spas, apartments and restaurants and this revealed a new found passion for bathrooms and kitchens. After working on some of the harder, tougher components of lighting and storage, it all felt a bit incomplete without looking at the softer elements…so it seemed only natural to start thinking of the lotions and potions of this most cleansing of spaces. The liquid soap contains black clay and charcoal to give the black colour and detoxifying qualities. The subtle mix of black pepper, oud wood and patchouli captures the smell of smokey red brick and London parks. The hand balm, enriched with rosehip oil, carrot oil and honey, is rich in antioxidants and deeply moisturising and soothing. Paraben-free. Enhanced with the essences of black tea and bergamot, the Royalty collection is rich in antioxidants and soothes and restores damaged skin. Notes of lemon, earl grey tea and cedar wood capture the smell of tea time with scones and strawberry jam. Paraben-free. Fortified with rosehip oil, turmeric, ginger and fennel, the Orientalist collection is rich in antioxidants and purifies and soothes your skin. Notes of violet leaves, rose, cinnamon and musk perfume the skin with a faint exotic floral fragrance reminiscent of an Indian wedding or a visit to a far eastern flower market. Paraben-free. A set of simple and multifunctional boxes and lids in white marble, blue glass and copper plated stainless steel that make a playful construction set for your bathroom shelf with spaces for toothbrushes, containers for cotton buds or soap and boxes for jewels, all able to interchange, stack and nest like a modernist sculpture. The Spot lamps comprise of a copper plated stainless steel body and a massively thick glass lens, with integrated LED bulbs. Designed for wet environments they are highly functional and unexpectedly highly decorative.